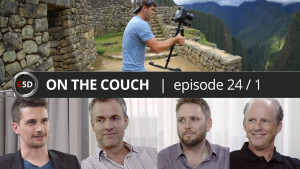 At episode 24 part 1 of ON THE COUCH, Nino Leitner, a filmmaker, director of photography and producer of Austria invited me, Lawrence Richards, a director of photography from Germany, and David Stevens, CEO of Glidecam Industries to talk about “Glidecam vs gimbal and RED & the revolution”. Nino talks to me about how I was among the first ones to order the RED One Digital Cinema Camera when it was announced, after watching a clip at IBC 2007 – and then having to wait for 1.5 years until the body arrived. That’s when my love affair with RED started, and I have shot and produced numerous documentaries for TV channels as well as the feature film “Real Buddy” on the RED platform since then. Copyright © Frank Mirbach 2019. All Rights Reserved.